Guitars are supposed to be played – that is a given – but it also means that they will suffer quite a bit of wear and tear, no matter how careful or gentle you are. 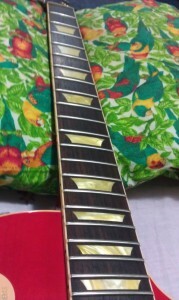 The frets and the board itself are the parts which take most of the beating. 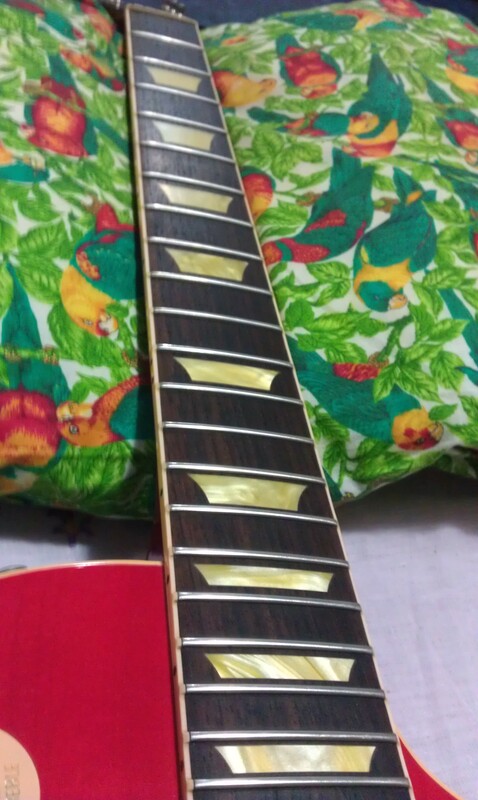 Obviously, the frets are under constant friction from the strings. 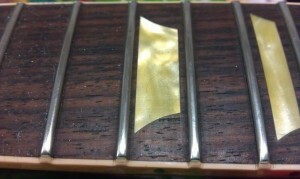 All that grinding can leave the frets in pretty rough shape after a while, especially with a lot of bending and vibrato. 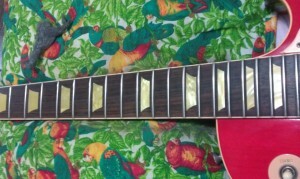 You may start feeling like there is sand or something under the strings, making playing very uncomfortable. 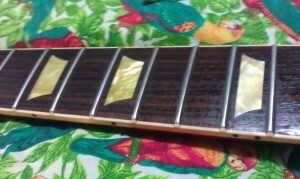 You can solve that by polishing the frets with a very fine steel wool. It’s a good idea to protect the board with tape before starting. 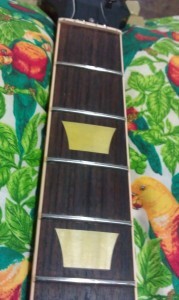 All you have to do is polish the frets to remove the rough surface. That can be made into another post later, so let’s move on. 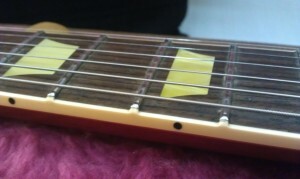 In some cases the string can eat up the fret and form a few “dents”. 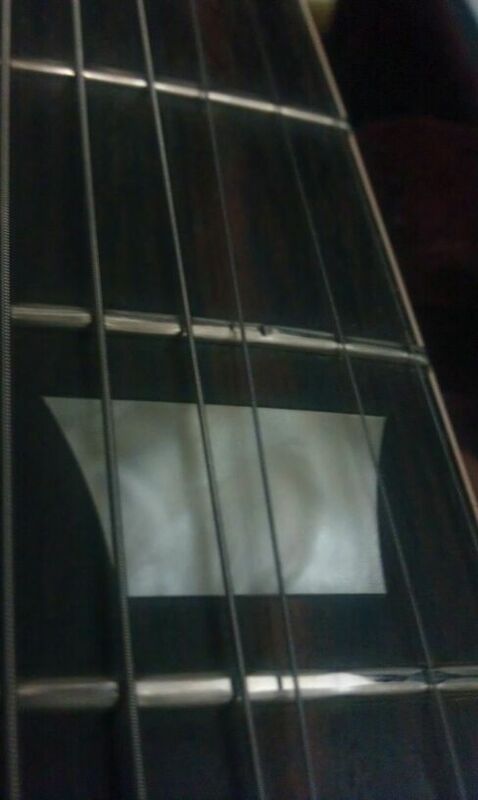 This is totally normal as long as it doesn’t cause severe buzz or stops the note from sounding. There’s a point where a fret leveling may be a good idea, but generally if it’s playing well, there’s no need to overthink it. Heavier string gauge or an iron-tight grip on your playing hand may be damaging the frets faster, so keep that in mind as well (you don’t really need to hold down the string like it was a struggling animal. 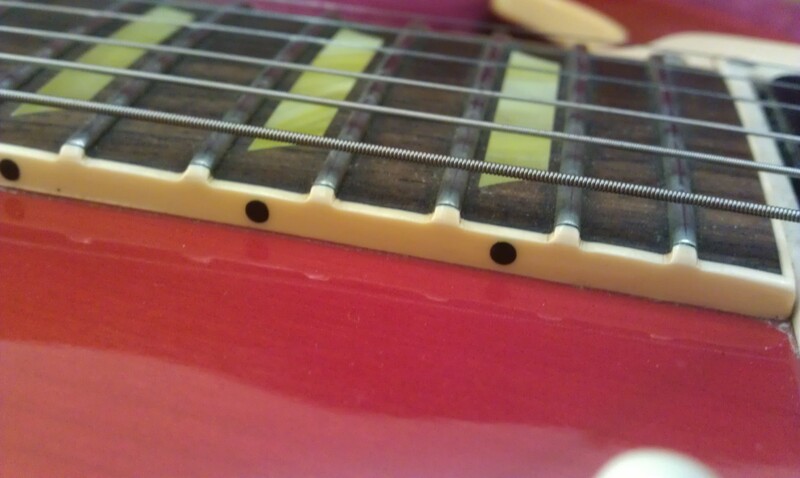 In theory, you only have to make it touch the fret with as little pressure as possible). A good Rosewood board may look beautiful, but it is also completely vulnerable to the dangers of the environment (as opposed to a maple board, for example, which most of the time is protected by a coat of lacquer). 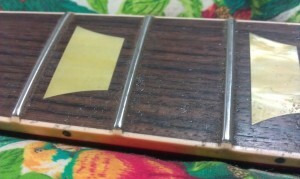 If you don’t take care of it, the board will gradually dry up, start to crack, and shrink. Not only that, but also all the dirt from your hands, peeled skin… Everything you can imagine will start building up between the frets and inside the wood pores. Things can get pretty nasty – and even affect the playability of the guitar – so it’s a good idea to clean things up from time to time and make sure your board is always hydrated. Enough talk. Let’s get our hands dirty! 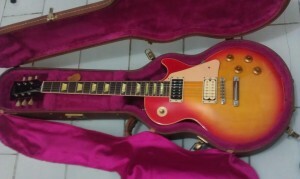 This is a 1999 Gibson Les Paul Classic I bought recently. 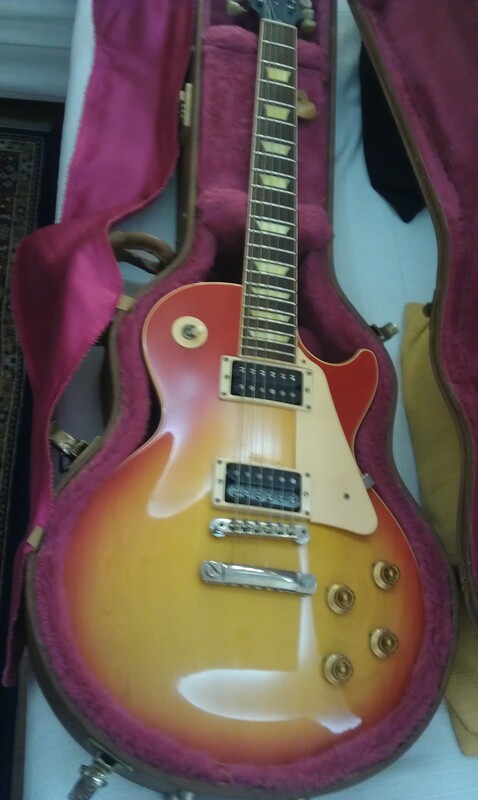 It was very fine overall, but a tad filthy, so first thing I did when I got it home was tear it apart and clean every inch of it. – a small cotton cloth. OK. First thing I’m going to say is that there are many different methods to do this. This is the way I do, but I’m sure people will have results just as good with different tools and whatsoever, so this is just a small example. 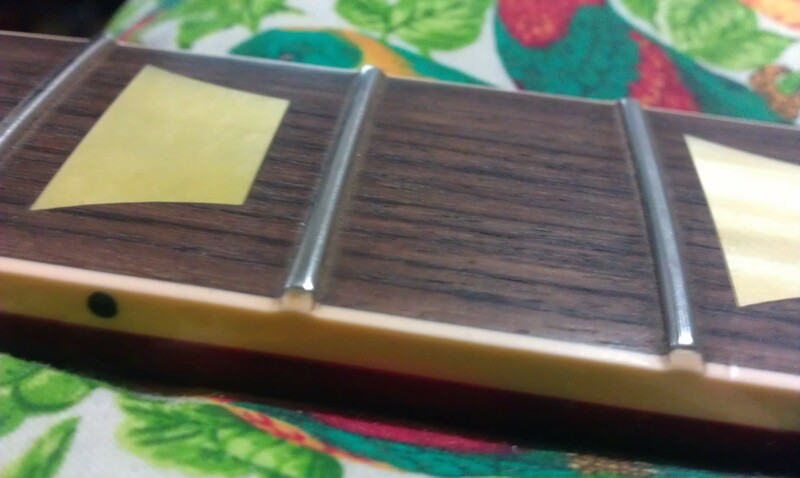 I’m not a professional luthier either (yet), but this is a pretty simple thing that I believe every guitar player should know. Get a small piece of the steel wool to work with. 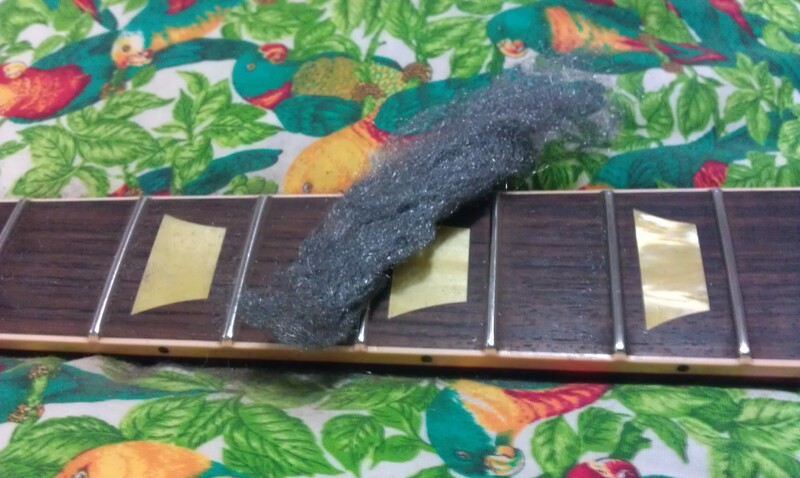 I have to stress that the steel wool will scratch your fretboard if you run it against the grain. It will be a bit diffitcult to get the cleaning done next to the frets, and it will be even harder down the neck where the frets are closer to each other, but you have to be patient. As long as you always follow the grain, it will be fine. 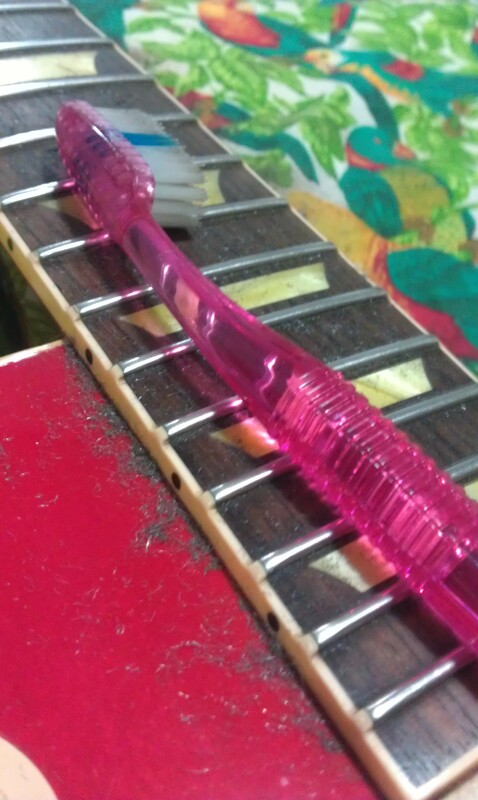 With the toothbrush, clean all the dirt left by the steel wool and the stuff you got out of the wood. As you can see there’s still some dirt right next to the frets. 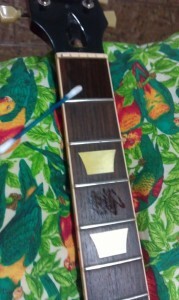 It will be very hard to remove ALL of it with the steel wool, but if you give it more time you can get most of it out. Some people clean the board with alcohol instead of the steel wool. 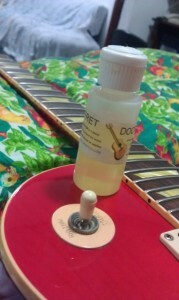 That works too, but the alcohol will dry up the board, so make sure you oil it right afterwards. It’s already looking pretty good, so let’s oil the board. 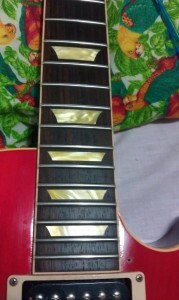 I use Fret Doctor. 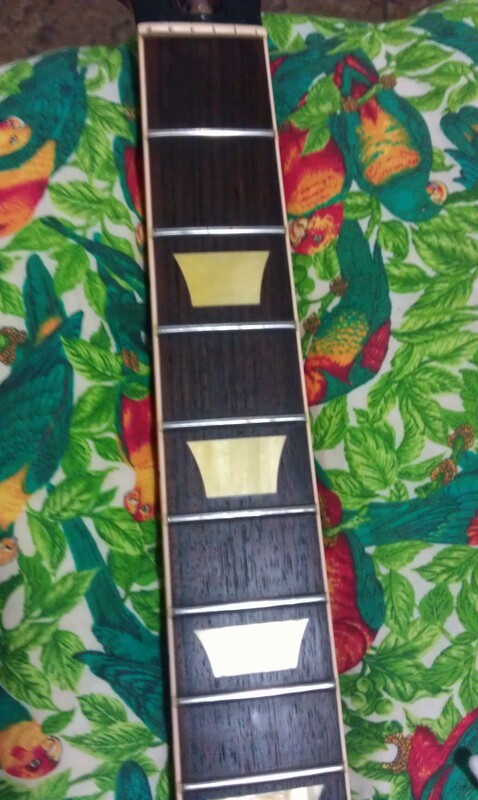 It makes the wood very smooth and dark looking. Lemon Oil will work as well. I apply the oil with Q-tips. A few drops are enough. If you think it’s not good enough, you can apply it one more time. Just make sure you don’t overdo it. Too much oil makes the wood too soft. It should not be applied too often either, just once every few months. 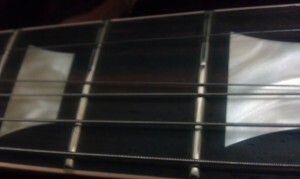 If you oil the board too often, it might get so soft the frets will come off. Leave it for a while and the wood should absorb most of the oil. 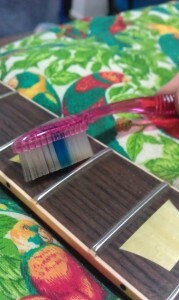 Use more Q-tips to remove the excess. 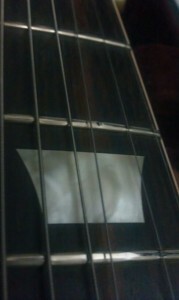 After everything is done you can wipe the guitar down with the cotton cloth to make sure there’s no dirt left anywhere. Guitar strung up and ready to rock. These pictures were taken on the following day. 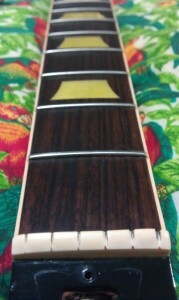 It amazes me how different the guitar looks with the board clean and oiled. It really plays like butter too. 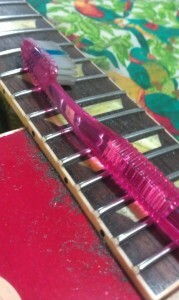 So, keep your fretboard clean to enjoy your instrument to its fullest! I will look killer as well. very informative. It is important to keep your guitar’s playing surfaces clean and well maintained. If gunk gets built up on your fret board and frets, It will cause additional wear and tear aside from the typical wear brought on just by playing it. There is one tiny, but extremely important bit of information that was not included in this article. it has to do with the abrasiveness of the steel wool. You can buy good quality steel wool from most major “big box” hardware stores for under $5. it’s a sizable bag, about half the size of a loaf of bread, crammed full of steel wool…probably enough to last a couple years or more. 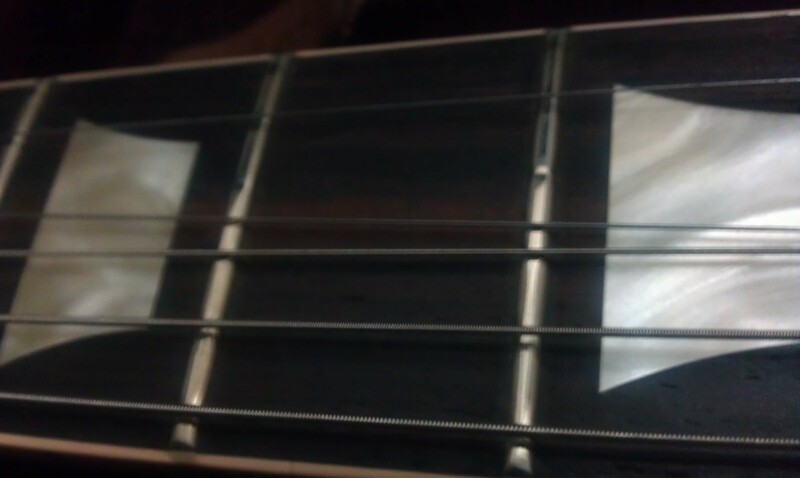 i have 6 guitars and 4 basses. I’ve been using the same bag for a year and it still practically looks full.. Most steel wool found in grocery stores is permeated with abrasive detergent. steer clear of that! Now, the critical detail about the steel wool is the grade, or abrasiveness, or grit of the stuff. It is rated by the numeral 0, with 0 being abrasive and 0000 being the fine stuff. This is important.. only..ONLY use the 0000 steel wool. 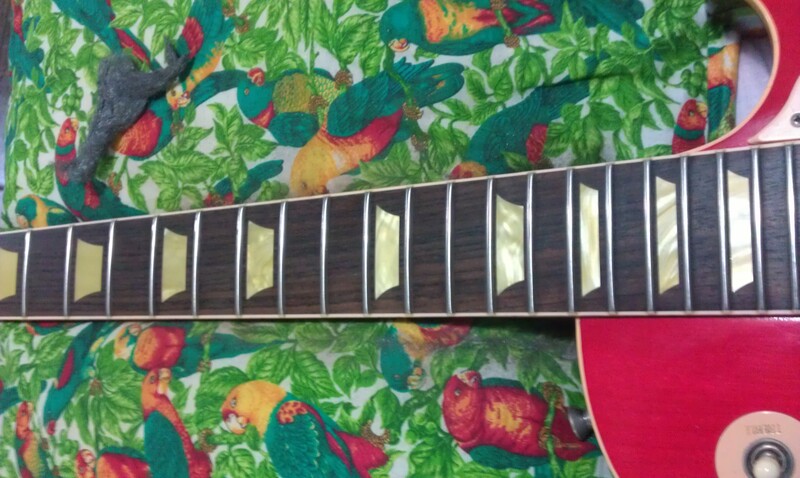 it is safe to use all up and down your fret board and on your frets with reckless abandon. It will not leave scratches.. I wasn’t aware of how much difference there is from 000 to 0000. my first time, I bought the least abrasive i could find at the hardware store, which was 000. 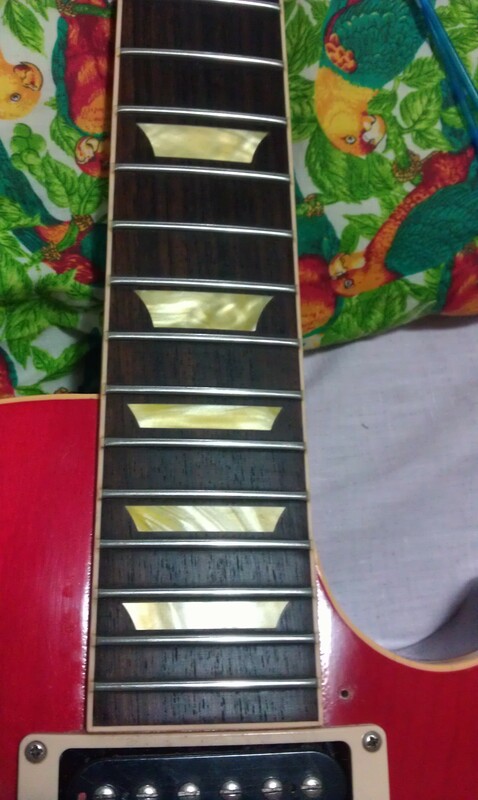 It left bad scratches on my frets, and it actually started taking the dark color out of my fret board. That same day, I read about the 0000 on a guitar forum, and i was able to find some at a different store. 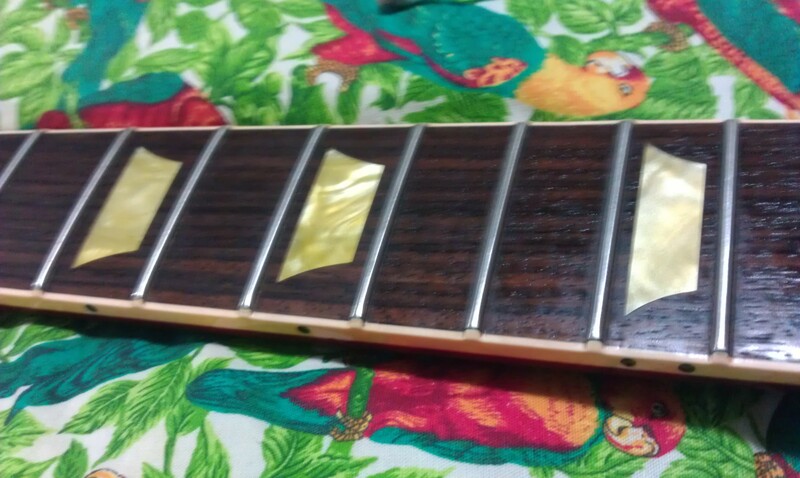 I carefully tried the 0000 on the same guitar, and it removed the scratches from the frets, leaving a clean polished metal. 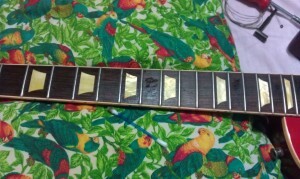 same thing with the fret board. 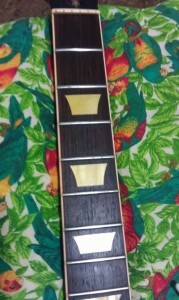 It remove the gunk and left the wood smooth and clean. So..only use 0000 steel wool. No exceptions. take my word for it! Every time i clean up my Fretboard and give new strings, it seems that it’s a new really good adjusted guitar. Nice article! 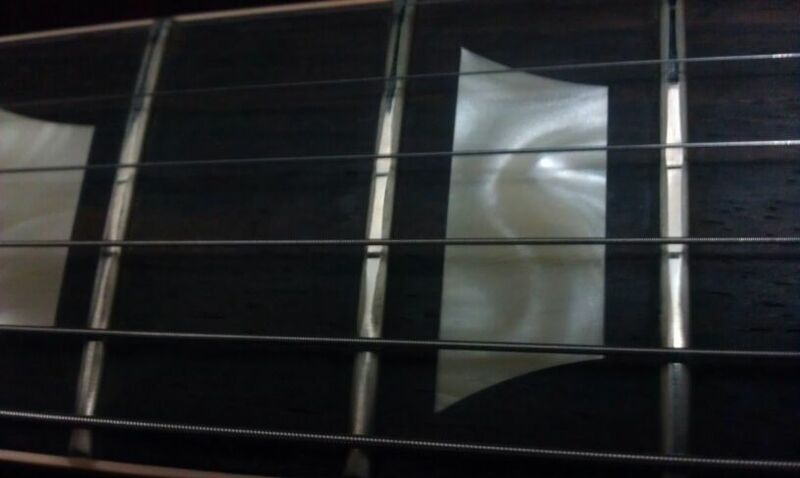 Also, keeping your strings clean is just as important. After every time you play, you should clean your strings since sweat from your hands is not good for them. 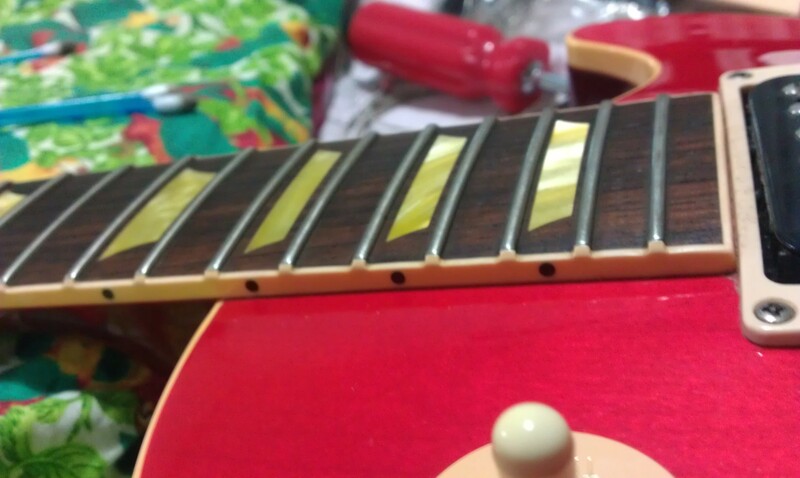 There are string cleaning solutions which you can buy in music stores, but if you don’t have any of that stuff, don’t worry: use WD-40! 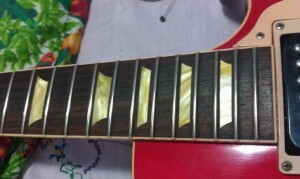 Just spray a little on a paper tissue or some kind of a cloth, then clean your strings with it. 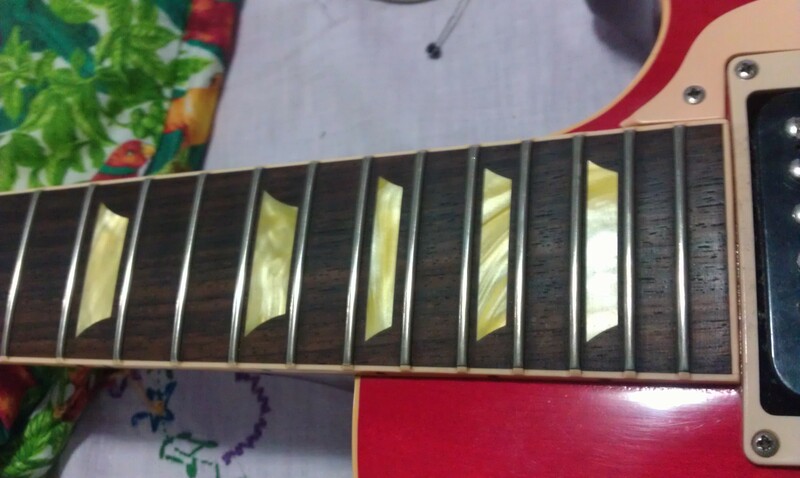 I suggest you don’t just wipe all of them at once, but rather “grab” each string with the cloth, and slide it up and down to clean the entire surface of the string. 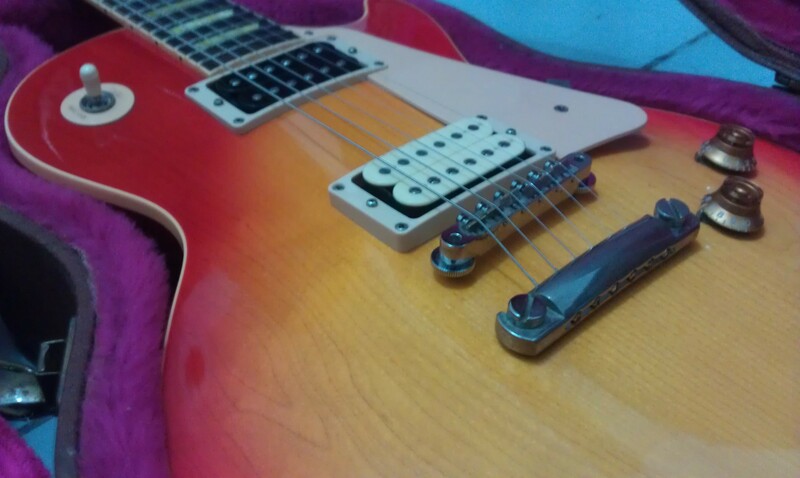 Cleaning your strings with WD-40 (or a dedicated string cleaning solution) will keep them fresh for a long time! 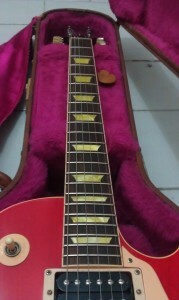 Even after some time they will still be shiny and bright sounding just like new strings. Very good advice! I learned a while back how important this was. I use a Dremel with a polishing bit to polish the frets on my guitars. It really makes a world of difference. I actually don’t use steal wool, but just an old napkin on which I apply a kind of alcool ( forget the right term, not for a drink lol ).